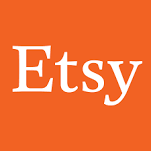 Etsy is the world's most vibrant handmade marketplace. The Talent Acquisition Team's goal is to attract, retain & develop talent to do their best work at Etsy. As the Talent Acquisition Operations Manager, you'll be responsible for helping drive the hiring strategy of the organization through various operational channels.